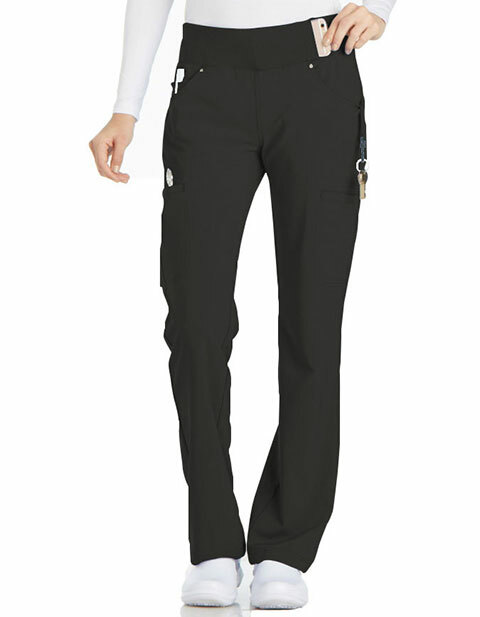 Cherokee Iflex women's mid-rise straight leg cargo scrub pant offer a traditional fit with ease of wear for those with a petite figure. It features a knit waistband reinforced with inside elastic for extra support. Moreover, the multiple pockets and durable fabric ensures prolonged garment life and durability.